TPCC’s Campaign Committee has even put on hold its campaign for some days, to make preparations for the Gandhi’s tour. HYDERABAD: Telangana Congress is witnessing new josh as AICC president Rahul Gandhi will begin election campaign soon after Vijayadasami.While TPCC is planning about 10 campaign meetings with Rahul, the first one will be held at Kamareddy on October 20. Already TPCC leaders are busy with arrangements for Rahul meeting. TPCC’s Campaign Committee has even put on hold its campaign for some days, to make preparations for the Gandhi’s tour. “We are getting good response for our campaign. We are confident that Rahul Gandhi’s visit will further boost our campaign. 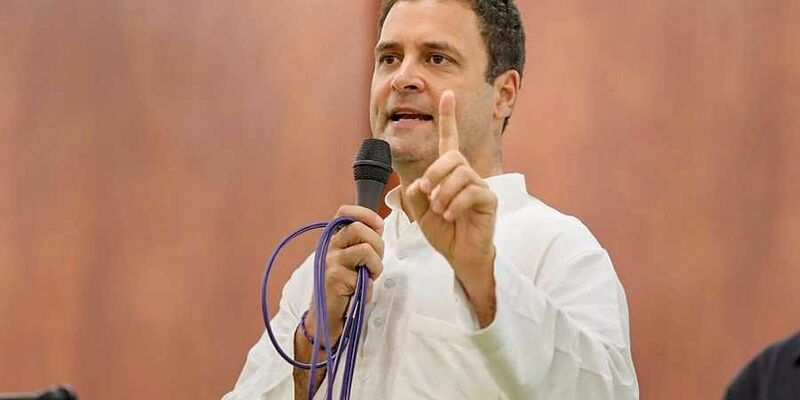 We have put on hold TPCC’s campaign for some days to make preparations for Rahul’s tour,” said Campaign committee chief Mallu Bhatti Vikramarka. Meanwhile, Grand alliance might soon get a new name. While it is being referred as ‘Maha Kutami’ now, insiders from Grand alliance say that ‘Praja Kutami’, ‘Jana Kutami’ and other are coming up as probable names in the discussions between Grand alliance parties leaders.